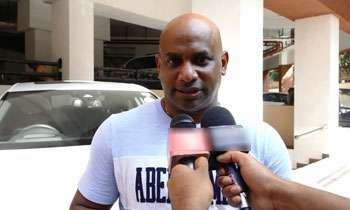 The proper procedure was followed when allocating a parking space to former cricketer Sanath Jayasuriya at the Colombo Trillium Residencies where he had been earlier deprived of a parking space, Condominium Management Authority (CMA) General Manager R.K. Jayaweera said. The problem arose with Trillium Management Corporation when a pump house was built at the parking lot belonging to Mr. Jayasuriya without his consent when his apartment had been rented out to some Japanese. The pump house had made it difficult for Mr. Jayasuriya park his vehicle and as such had made several complaints to the management of the Trillium Residencies. Mr. Jayaweera told Daily Mirror that the Trillium Management Corporation had made a complaint to the CMA that Mr. Jayasuriya was using the car washing space provided to the residents to park his vehicle after he was left without a parking lot. “The Trillium Management Corporation was requesting the CMA to order Mr. Jayasuriya to avoid using the car washing area to park his vehicle. However, when we inquired into this matter, our legal officers were of the view that an injustice has been caused to Mr. Jayasuriya. Our officers recommended that justice be meted out to him and as such I decided to order the relevant authority to provide him with a parking lot from the Trillium's visitors parking lot. For this purpose we had to demolish a flower bed at this parking lot,” Mr. Jayaweera said. He said that though the officials of the Trillium Residencies kept pointing out that the demolition of the flower bed was illegal and that it required approval from the Colombo Municipal Council (CMC), it was found that such approval from the CMC was unnecessary because this flower bed had not been marked in the ground plan as a flower bed. Mr. Jayaweera said it appeared that the Trillium Residencies Management was making a deliberate effort to avoid allocating a parking lot to Mr. Jayasuriya with the purpose of embarrassing and inconveniencing him. Speaking to the Media, Trillium Residencies Property Manager, Wayne Joseph said the demolition of the flower trough had been done without prior notice. He said since the demolishing was illegal, the Trillium Management Corporation hoped to take legal action. Meanwhile, Sanath Jayasuriya told Daily Mirror that when he purchased the apartment from Trillium Residencies, he was provided with a parking lot as per his deed. “After I purchased this apartment, I decided to rent it to some Japanese for an extended period of time. It was at that time that a pump house was built on my parking lot without consulting me or without my consent,” he said and added that he had decided last year to move into my apartment at the Trillium Residencies on a permanent basis. He said it was his right to have parking lot as per the deed of ownership given to me by Trillium Residencies. "When I did not have a parking lot, the officials of Trillium Residencies asked me to park my vehicle some 200 meters away from my apartment. But I refused to do so as it was a source of inconvenience for me and my family,” Mr. Jayasuriya said and added that the management was treating him unfairly and that was why he was demanding that his rights be restored. “However, I am happy that the CMA has taken steps to allocate me with a parking lot. But it has not been legally accessed to me. Hence, I decided to go to courts to get this the use of the parking lot inserted in my deed,” he said.